See all that Quantic Dream's latest adventure Detroit: Become Human has to offer with our guide to all choices, chapters, endings, and more. It's been several years since gamers last got their hands on a Quantic Dream release, and that's because the developer has been hard at work on its latest narrative adventure, this time set in a not-too-distant future where humans are constantly at odds with androids. Like other studio releases before it, Detroit: Become Human is a game that puts players in control of a deep and complicated narrative where each decision has an impact on the story. We're going to get this out of the way now — almost everything there is to say about Detroit: Become Human can be construed as a spoiler. Seemingly insignificant things like finding or not finding an object can have a major impact on the story down the line, which means it's very difficult to discuss even minor details without a broader discussion of their ultimate effects. This guide hub is entirely spoiler-free, but be on the lookout for the above spoiler alert image in every guide where spoilers can be either potential or abundant. As always, reader discretion is advised. For convenience, we've numbered each of the different chapters in Detroit: Become Human below. However, players won't necessarily see each and every chapter during their runs through the game, as different decisions made at various branch points can affect everything from what objects and paths are available in one chapter all the way down to who lives or dies in another. As such, players may find themselves skipping around between these guides in an attempt to find more details concerning the chapters they're presented with. Don't worry, though — if there's ever an action or decision that affects the outcome of a chapter in a major way, we'll point it out and provide information on where, when, and what decision to make in order to go down a different path. 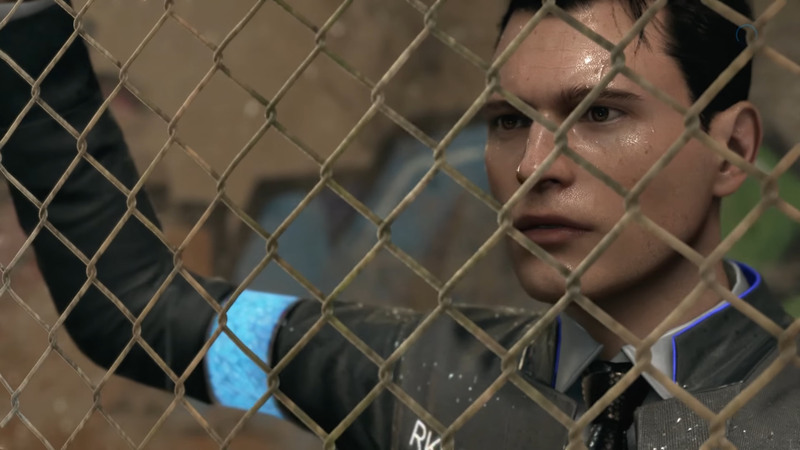 The prologue chapter of Detroit: Become Human serves as training for the game's main mechanics and controls as well as an introduction to the android protagonist Connor. The chapter called Opening works as another opening to the game, this time serving as an introduction for Kara. 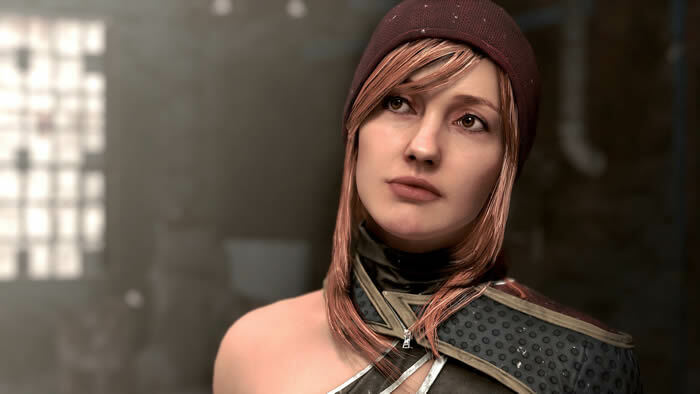 The third chapter jumps into the shoes of Markus and gives players their first detailed look into the political climate surrounding the relationship between humans and androids. The chapter called A New Home introduces follows Kara as she goes about her standard android cleaning duties. This chapter also introduces Alice and gives players a few crucial choices that will affect later paths. The Painter follows along as Markus and his owner Carl pontificate about the future. The chapter known as Partners sees Connor and Lt. Anderson help solve a crime, giving players a chance to make their first decisions that will have a major affect on the game's overall narrative. Stormy Night is where players will come to understand the gravity of their decisions, following along as Kara and Alice deal with the problematic whims of Todd. Broken is a fairly quick chapter with only two separate endings, each of which having a distinct affect on Markus' storyline. The Interrogation is a follow-up to the chapter Partners, where Connor uses his detective skills to learn some new information. Fugitives follows along with Kara and Alice as they search for a temporary place to rest. From the Dead sees Markus making a couple of decisions before finding a way out of his situation. Waiting For Hank follows along with Connor as he and Hank tool around the police station looking for new leads. In the chapter On The Run, Kara and Alice attempt to make their escape while Connor and Hank continue their investigation. The chapter Jericho follows along as Markus looks at graffiti and searches for the area known as Jericho. In The Nest, Connor and Hank have a little chat before searching for an android suspect that ultimately makes a run for it. Following up on the events of Jericho, Time To Decide sees Markus and his new android companions discuss some possible plans of action. The chapter Zlatko sees Kara and Alice once again dealing with the whims of a violent and particularly unsavory man. Russion Roulette sees Connor heading over to Hank's house before stumbling upon a few interesting bits of information about his partner. In Spare Parts, Markus and the crew head to the Cyberlife building with a mission in mind. The Eden Club sees Hank and Connor heading over to the namesake club in order to track down their suspect. The Pirate's Cove follows along as Kara and Alice encounter difficulties with their car before a surprise visit from a curious group of androids. Things get a little tense between Connor and Hank when the two share a conversation outside the iconic Ambassador Bridge. The chapter titled The Stratford Tower sees Markus and allies climbing to new heights as part of the group's master plan. Following up on the aftermath of The Stratford Tower, Hank and Connor head to the building to investigate the attack. The chapter Midnight Train sees Kara, Alice, and a group of androids hide in Rose's house following a surprise visit from a policeman. Capitol Park follows along as Markus and his crew decide upon what sort of message they want to send to the world. In Meet Kamski, Connor and Hank have a tense meeting with the creator of the androids. Past decisions coalesce in the action-packed chapter Freedom March where Markus and his allies are met with considerable police resistance. Last Chance, Connor provides players with one final opportunity for Connor to uncover the location of Jericho and continue his investigation. More chapter breakdowns, flowcharts, and endings will be posted in due time, so be sure to keep checking back with us as we explore all that Detroit: Become Human has to offer. Shacknews' own Bill Lavoy braves the depths of the latest Quantic Dream release to find out if Detroit: Become Human lives up to the studio's high standards for narrative and game design. Will Detroit: Become Human release for Xbox One? Will Detroit: Become Human ever break free of its Sony-funded chains and release for other platforms? To provide an answer, we look into the relationship between publisher Sony and indepedent French developer Quantic Dream. Hit all the highlights in Quantic Dream's techno-thriller by scoping our list of all the game's various trophies and achievements. Seen a familiar face but can't remember the actor's name? We roll through the biggest stars featured in Detroit: Become Human. Looking to learn even more about the newest Quantic Dream release? Be sure to head over to our Detroit: Become Human homepage to catch up on the latest news, updates, and features that Shacknews has to offer.